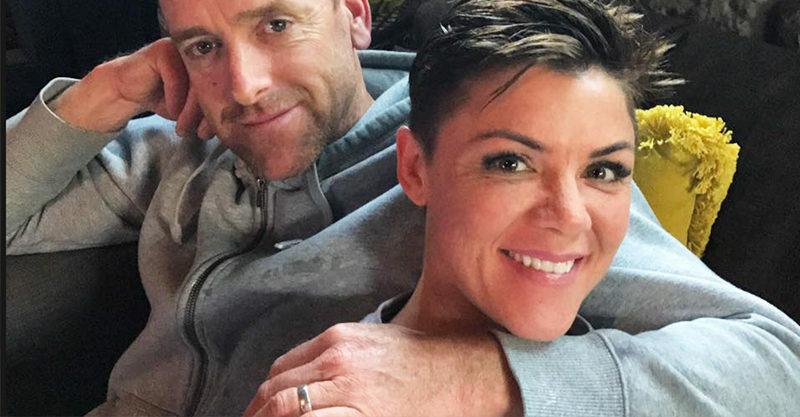 Em Rusciano on living with grief "I was supposed to give birth in 20 days"
Comedian and radio presenter Em Rusciano is pushing on after suffering a miscarriage in the first trimester of her pregnancy, simply because she has to. Her experience is a reminder that the pain of losing a baby is an ever-present one. Em did a quick interview with with Yahoo Be on Victoria’s Spring Racing Carnival Derby Day, and it offered some insight into what she’s navigating at present. We’re guessing she was asked if she was feeling better, these days. Her response was reliably candid. “No, I’m not [feeling better], but I just put one foot in front of the other and that’s all I can do,” Em told Yahoo Be. It’s obvious that her loss is still – quite understandably – extremely raw, with the mum-of-two taking a day at time and quite literally marking the days. It’s obviously still very difficult to talk about. “There will always be a…” she began. “I mean I was supposed to give birth in 20 days”. Em revealed she’s attempting to process her pain in the way she knows best. Em and husband Scott Barrow have been together for 18 years and are parents to two daughters. A third child was an exciting surprise, but before Em could share her baby news publicly, she had a miscarriage. Em decided to share the experience, in the hopes that it would help other families who were going through, or had been through, the same thing. “About 10 weeks ago I got the most wondrous surprise. I found out I was pregnant,” Em wrote on Facebook in May of this year. Em is not alone in this horrible experience. In Australia, one in four pregnancies end in miscarriage, yet despite these terribly high numbers, stigma still surrounds this kind of loss. We’re grateful that Em is sharing her experience, and hope that it encourages other women to seek support if they’re struggling with the loss of a child.